The IPA style is the rockstar of the American craft beer world and has been for many years. It accounts for 36.8% of all American craft beer sales and 77% of craft growth (according to the Brewers Association). American craft brewers love hops and continue to innovative and diversify the style with different iterations such as black IPAs, white IPAs, imperial IPAs,. West Coast IPAs, Belgian-style IPAs, Brett or Wild IPAs, red IPAs, rye IPAs, herb/spiced IPAs, hazy or juicy IPAs. They range in ABV from 4% or less to 12% of more. 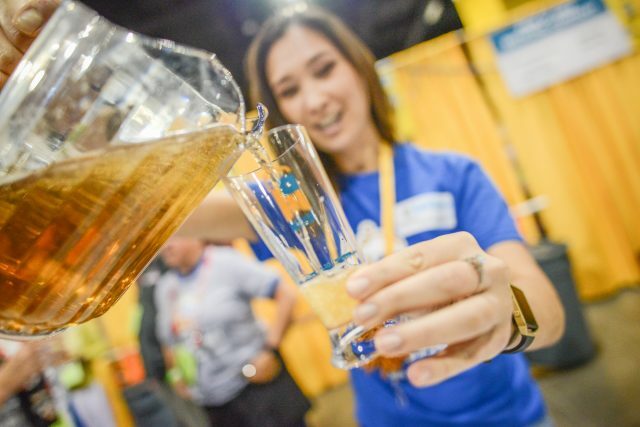 Juicy or Hazy IPAs (commonly known as New England) is the latest IPA craze and was judged for the first time at the GABF competition this year. The style attracted the most category entrants of all with 391 (surpassing American-style IPA, which has held top slot for over a decade) and was won by Le Jus from Alarmist Brewing in Chicago. This year’s Festival saw a preponderance of juicy and hazy IPAs but two very different takes on the style stood out – ‘milkshake’ and ‘Brut’. Milkshake IPAs are thick, hazy, juicy and brewed with fruit hops and lactose for a full, sweet mouthfeel, while Brut IPAs are bone-dry, pale in colour and highly effervescent Beers such as Heretic Juicier Than Thou, a hazy, New England-style IPA with mango that’s full of juicy, tropical hops but smooth, refreshing and balanced at the same time, is helping to widen appeal of American craft beer and bring new consumers into the style craft beer world. The trend towards IPAs in its many incarnations continues to go from strength to strength and is unlikely to change any time soon. 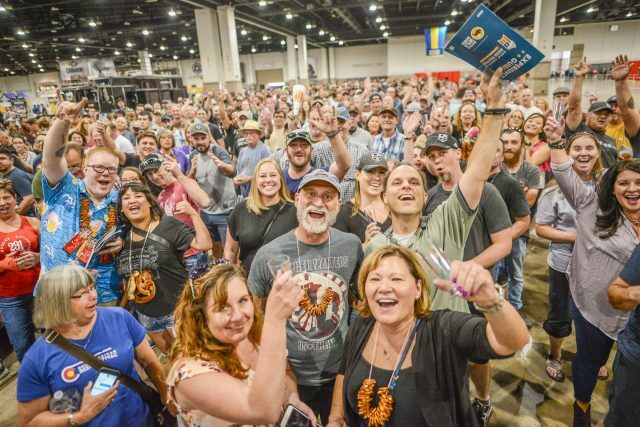 American brewers love to innovate but proven technical excellence was also on show at GABF with classic lager styles brewed to perfection, such as gold medal winning Rahr & Sons Oktoberfest, a traditional German style Märzen lager, with a full-body, rich and toasty flavour, dark amber colour and sweet malty finish. 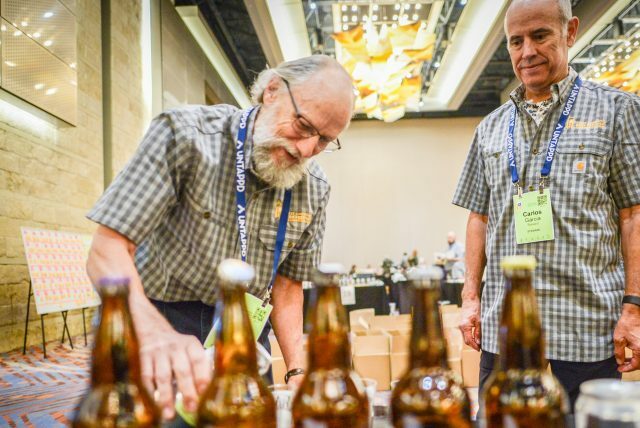 Sessionable American craft beer styles account for 26% of the growth in craft sales value, according to the Brewers Association, and many American craft brewers now have the confidence and facilities to brew perfectly crafted, clinically clean, refreshing and crisp Helles, Pilsners, Kölsch, Altbiers, Oktoberfest, Dunkels and many more. These styles appeal to young drinkers coming into the craft beer category for the first time as well as those older drinkers who entered the craft beer world at its inception, some 30-40 years ago, who are now ageing and therefore looking for something more sessionable. This trend looks set to continue. The barrel-ageing game was ramped up several notches at GABF by the addition of the new Jameson Caskmates Barrel-Aged beer garden where all beers were barrel-aged in James Irish Whiskey barrels, Cigar City Beoir Le Caife, a brown ale brewed with lactose and Jameson-rested coffee beans then aged in Jameson Whisky Barrels was smooth and rich with a chocolate and coffee character while DC Brau Your Pet Cow imperial milk stout, a playful riff on an American stout, used lactose for an inspirational twist on a classic fortified stout from a bygone era of British brewing tradition, and had a more pronounced hop character. Elsewhere in the Festival beers aged in oak barrels or those previously holding wine, gin, tequila, brandy, Bourbon and more were pouring like Three Weavers Extraordinary Humans Bourbon Barrel-Aged Imperial Oatmeal Porter with vanilla and lactose, a luscious imperial porter aged in Willett bourbon barrels for 14 months, one sip of this decadent darkness is like a big oaky hug! Not all were knock-your-socks-off imperial stouts over 12% ABV, although there were plenty of these up for grabs, some of the more nuanced and elegant barrel-aged beers were sour beers aged in oak barrels with fruit added.